Dress them up for birthdays, book days or as a boredom buster. 1920s striped boys jacket, pants, tie and hat. 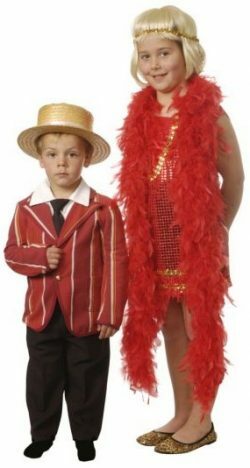 Young roaring twenties red fringed dress with sequinned headband. Great for a historical costume choice. Flower power retro 1960s girls white dress that would also fit a smaller adult. Add a long fringed wig and some groovy print pantihose. Admiral child in a blue coat with gold trim, marabou trimmed hat, pants, shirt and necktie. This is a good costume for a nautical theme or historical character. Admiral child wearing a green coat with black panels and gold trims, pants, shirt and necktie. Add the marabou trim hat to make a fine looking character. 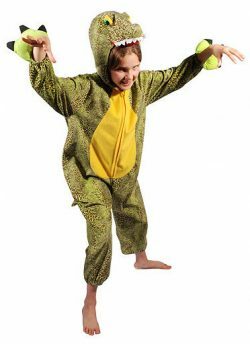 Green spotted alligator childs jumpsuit. Add some clever facepaint to camouflage yourself. Annie character red dress with white waist belt and collar. Add a curly character wig and sing your heart out. 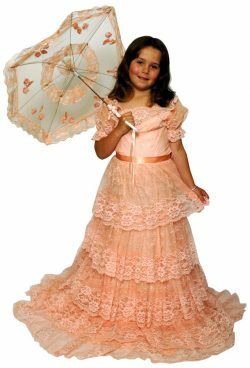 Long gorgeous apricot laced girls princess style dress. 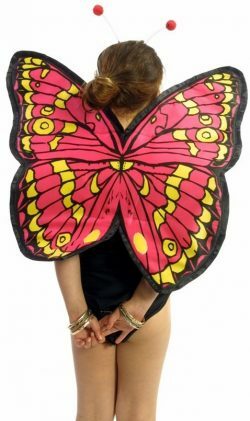 Add a parasol, or a masquerade mask to disguise yourself at the ball. Bavarian styled red skirt, white blouse ,detailed blue vest, white apron and headgear. A favourite costume for a nationality theme. The best of British in a childs Beefeater costume.Red with yellow and black trims, belt, white lace wrist cuffs,collar and shoe rosettes. Add the coloured pantihose and a stern look on your face. 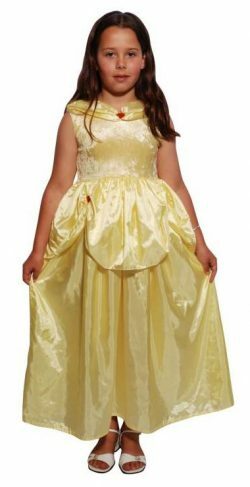 Belle character yellow long princess dress. Add a tiara. Sea blue Mermaid childs skirt with halterneck silver top with clam shell designs. Add a long wig and shell necklaces to complete your look. Black leotard with red, yellow and black butterfly wings and antennae headgear. Buzz Lightyear superhero childs PVC jumpsuit with leg cover, wing span and headgear. To infinity and beyond! Yellow and black stripe child’s Buzzy Bee costume with attached wings.